Welcome to Part 2 in our series on how to start your own profitable online lifestyle business. If you haven’t read Part 1 – go here and read that first. In this article, we’re going to discuss how you can find out if your business idea is profitable. But more importantly, I’m going to show you how that knowledge will help you realise that you don’t need to be a business, sales or marketing expert to start your own online business. A major fear people have as it relates to starting their own business is that they’re not an expert in business, sales or marketing. This fear can quickly be eradicated by standing on the shoulders of those who’ve gone before you. When you know why this is and how you can do it, you’ll never have to worry about your lack of an MBA or marketing degree. The goal is to break free from the idea you need to be a business or sales/marketing expert to launch your own lifestyle business. Specifically, you’re going to learn how competition can plug any gaps in your knowledge as it relates to your business idea. But first let me share a quick story. Before I launched THE LONDON MOTHER and my agency TLM Social, I also used to think that the fact I’d never had a social media job and my general lack of expertise in business development or business strategy meant I was doomed to fail. I didn’t want what I could see advertised under ‘mummy jobs’ or ‘work from home ideas for mums’. I wanted something I could do on my own terms, flexibly without spending thousands on retraining in social media, business or digital marketing. After much thought and through trial and error I learned that my passion for and my knowledge of my business idea – which was gained through life and not any specific formal training - was enough. look at what others had already done. I didn’t have to worry about reinventing the wheel, anything I wasn’t sure about was either at the end of Google or had been already done by a competing brand. So, I shifted my mindset and that’s when I started to experience results, almost immediately. 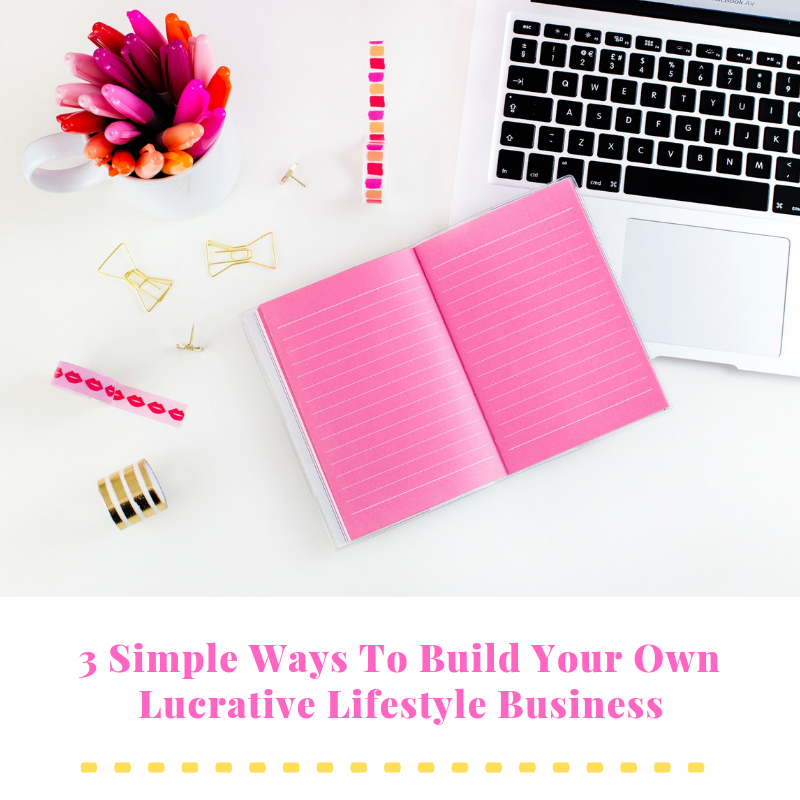 I know it might be hard to believe you can launch your own lifestyle business and it’s ok if you think you can’t do it on your own. Unless you’re creating the next Facebook or building a phone to rival Apple, you aren’t really doing something 100% brand new. Of course, you’re putting your own spin on it, making it unique and personable to you, but you don’t have to do this on your own or from scratch. When you think about having competition in business you might think it’s a bad thing. It isn’t a bad thing – it’s a great thing! We want competition! And do you know why? For two reasons. Like we saw in the first article in the series, competition shows the market is there! Want to launch a business selling luxury handmade candles? Fab – brands like Jo Malone or Diptyque operate in a similar space and are doing relatively well so you know there’s already and audience for this product. And if you’re not sure how to execute some business idea, just look at what they already did. You might think – well I know I’m going to have to create a website if I want to sell my luxury candles online but what do I know about web design? Maybe you know very little. But you can get your pen and paper out and look at the websites of Jo Malone and Diptyque and write down everything you like, everything you don’t like, every tweak you’d like to make and then you have the skeleton of your own website. No marketing degree or web design experience required! From there you can download an easy website builder like Wordpress or Squarespace (which this website is built on) and now you know exactly what you do and don’t want on your website, you’re going into the task with half the work done. Your idea for your website is already down on paper so its creation just got a whole lot easier. Let me give you an example of how I did this for THE LONDON MOTHER. The site you’re reading is a niche online publication focusing on things to do see and eat in London. I knew I wanted a clean kind of website but wasn’t entirely sure how I wanted it to look. So, I thought to myself, which brands already publish online, would have had the funds to really develop a good online presence and appeal to a similar kind of demographic – women in their late 20s – early 40s. After looking at approximately 10 online mags, I settled on Vogue UK and Refinery 29 and modelled the look of this website on those. While our sites aren’t carbon copies, they inspired me in the look and feel of THE LONDON MOTHER so I didn’t have to spend weeks going back and forth as to how I wanted my site to look. Another common business strategy is keeping in touch with potential customers/clients. Maybe you’re not sure of the best way to do this. Again, what does your competition do? Do you want to launch a wedding planning service? What do the big wedding planners in your city or country do? Do they ask their website visitors to sign up to their email mailing list? Do they say they’re going to be at the local wedding fair? If they’re doing it and it appears to be working just do the same! Or maybe you want to bake cakes but you feel like the world doesn’t need another cupcake or muffin provider? What’s trending in the news when it comes to food? You don’t need a business development degree to read BBC News or CNN. Scroll to the food pages on the big news sites in your country – what’s happening? Maybe there’s lots of talk about kids and sugar. If you want to launch a lifestyle business in baking, how about you make it niche and launch a low-sugar cake business? Do you see how with a little lateral thinking, a little googling and a little look at what other, bigger brands are doing can give you the confidence to know that expertise isn’t required and that passion, guts and hard work is actually all you need to make your online business a reality? Looking at your competition applies to every part of your business – whatever the next stage in your business is – look at what the bigger brands in your industry have already done and see if you can do the same, all while putting your own personal spin on it. Decided you need to keep in touch with customers via email but not sure what your newsletter should look like or what you should say? Subscribe to some of the big brands in your niche. What does their newsletter look like, again, what do you like, hate, wish you could change? What do they actually say in these emails? It is news and developments in the business, new recipes, new launches? Use that as inspiration on what you could say. Now you know that you don’t need to be a business or marketing expert, the big question is, how do you know if you’re cut out for the life of an entrepreneur? And really, this is an important key to having success with a lifestyle business. Because if you aren’t certain that you're cut out for the life of an entrepreneur, you’ll still be plagued with doubt and fear. So how do you quell this doubt and have conviction that the life of an entrepreneur is for you? Am I prepared to work smarter and harder for a while to get to my ultimate goal – having my own business? Am I passionate enough about my idea to see it to fruition? Do I see things through? Am I prepared to sacrifice a couple of hours of Netflix or reality TV a few evenings a week to turn my own dreams into reality? Am I a natural problem solver who helps people with my advice, skill set, creativity, knowledge, network, smarts? Is my current 9 to 5 the job that I want? When I could truthfully answer those questions, I knew that I was ready to start on the path to self-employment. I wasn’t about to hand my notice in at work – I wish! But I knew I was ready to start taking steps, the first baby steps to starting my own lifestyle business. then you are the right kind of person to be thinking about life as an entrepreneur. You might think – oh well of course it worked for you but it will never work for me. You might think you don’t have the confidence, the time or the motivation. And I’m here to tell you you’re wrong. Yes, you’re wrong! The fact you’ve read these two articles up to this point means you do have the motivation, that you do want to change your situation. The fact you’ve come this far shows that you are creative, opportunistic, proactive, and visionary. 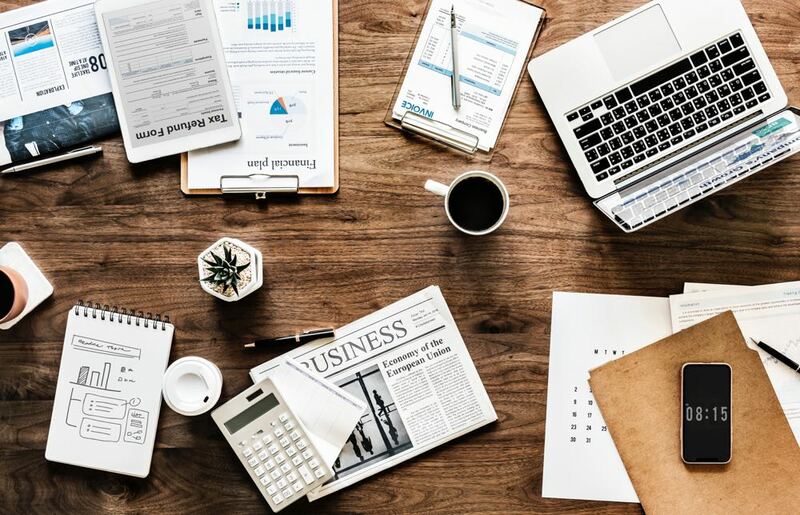 Did you know that self-employment through having your own business is actually more stable than traditional employment, perhaps because it is less susceptible to economic changes in the market? Having your own business also gives you the added bonus of not needing to cope with abusive or incompetent bosses. Let me show you an example – Borough 22 Doughnuts. This is a business my husband and I launched and, after running it as a side-hustle for a while, he’s been able to quit his job and work on it full time. He has the freedom and flexibility work on his own terms, attend every school play and sports day and crucially, say no to work if he doesn’t feel like doing it! Do you want to know the exact framework I used to launch THE LONDON MOTHER, TLM Social and Borough 22 Doughnuts? Why social media is important (but not the lifeblood of your business) and how you can use it to accelerate your growth, audience, authority and of course SALES!